23 Rare Dog Breeds You Have to See to Believe! Dogs make incredibly great family pets but while there are a variety of common breeds, some are not so common. In fact, some dog breeds are so rare that they often can’t be found on the official list of American Kennel Club dog breeds. Just like mixed breed dogs, there are many reasons why some dog breeds remain rare and unique. Either they can only be found in exotic locales, they are very high maintenance, or have unique traits that make them stand out. 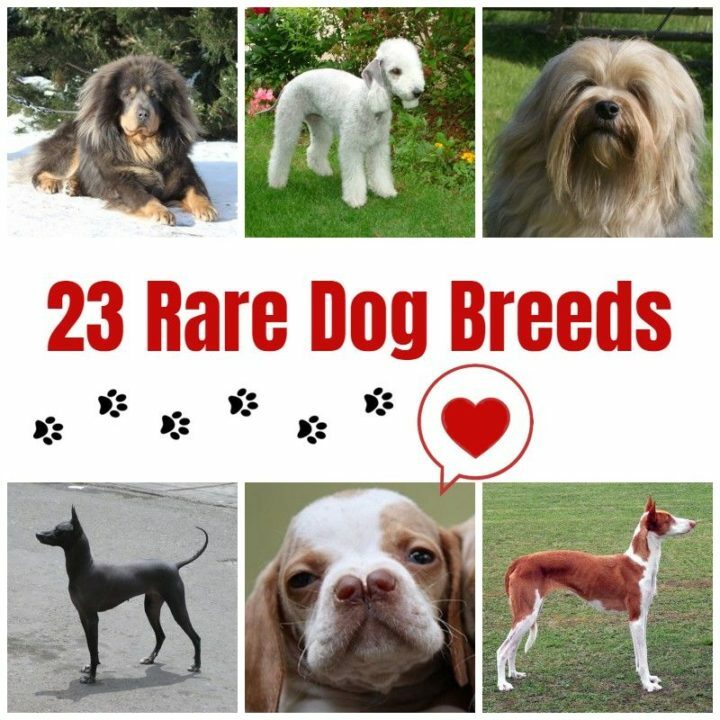 Regardless of what makes the following 23 dog breeds rare, they all want the same thing as other dogs…the love and affection of a loving family. This large and fluffy white dog hails from Hungary and he has a huge heart for family. A very protective dog, his deep bark will be heard when he encounters strangers. He’ll also need a lot of room indoor and outdoor to run and play. Hailing from the white mountains of New Hampshire, the Chinook is very active and agile. 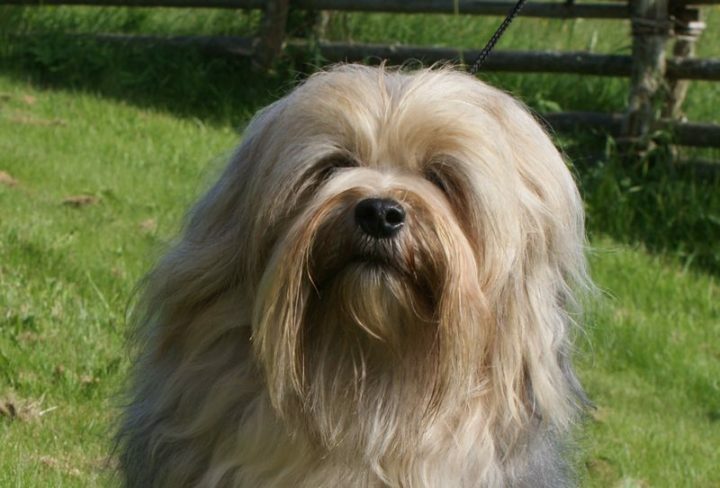 This breed has a thick double coat which makes them ideal in colder climates. In fact, Chinooks were originally bred as a sled-dog racing breed. As long as they are rewarded with plenty of opportunities to exercise, they’ll easily be one of the most dependable and polite dog breeds you’ll ever encounter. Elegant and tall, the Azawakh hails from West Africa and features a short, fine coat. Rare dog breeds like the Azawakh are highly protective which make them great guardians. They are excellent at lure coursing and it offers the perfect showcase for their incredible speed and keen vision. The Tibetan Mastiff is the ultimate guardian dog. With an imposing and intimidating stance, strangers will fear it; however, as a family dog, they are calm and gentle giants. 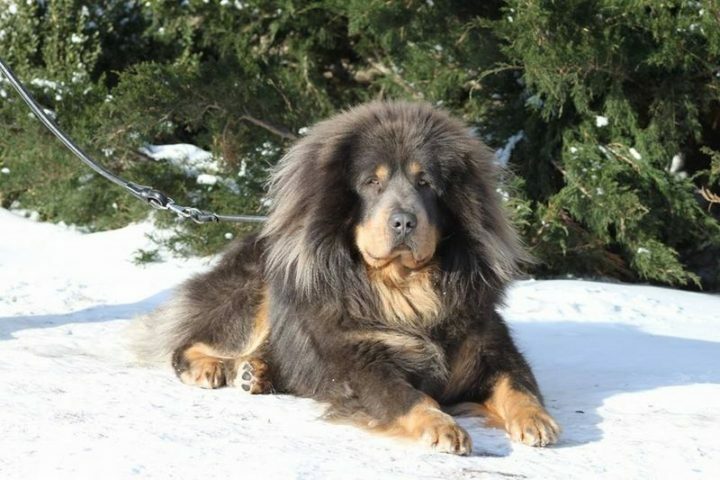 With a broad head, an impressive double coat, and expressive brown eyes, the Tibetan Mastiff is a gorgeous and powerful looking breed. 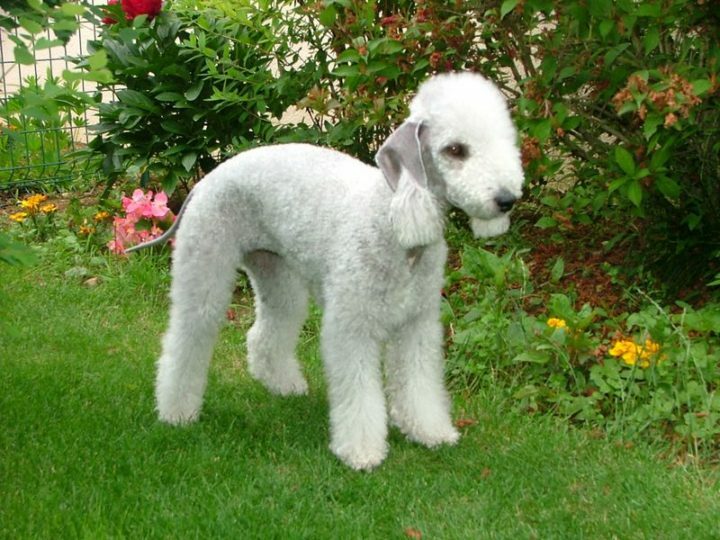 The Bedlington Terrier has all the attributes of a winning family dog. It doesn’t shed, is loyal, and is the perfect TV companion. With a curly and almost sheep-like wool coat and a pear-shaped head with tasseled ears, it is a one-of-a-kind breed. It’s also no slouch in the activity department and is known for their impressive speed when running or playing to their heart’s desire. 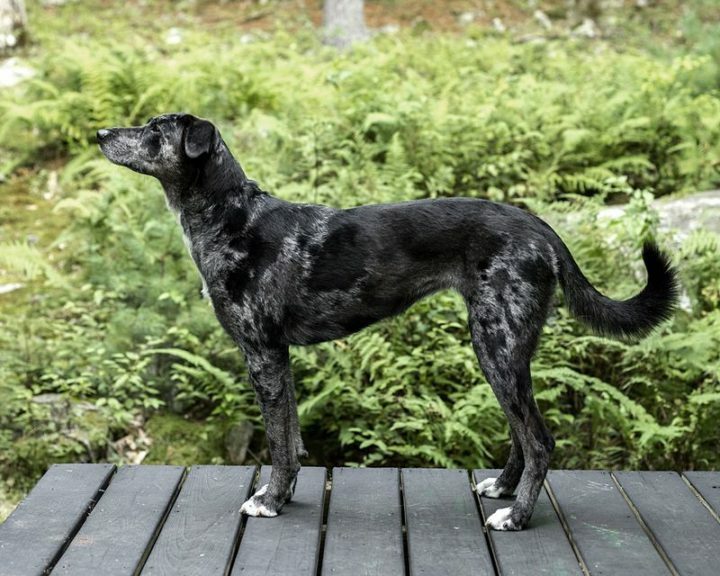 Muscular and powerful, the Catahoula Leopard Dog is the only breed to have originated from the State of Lousiana. 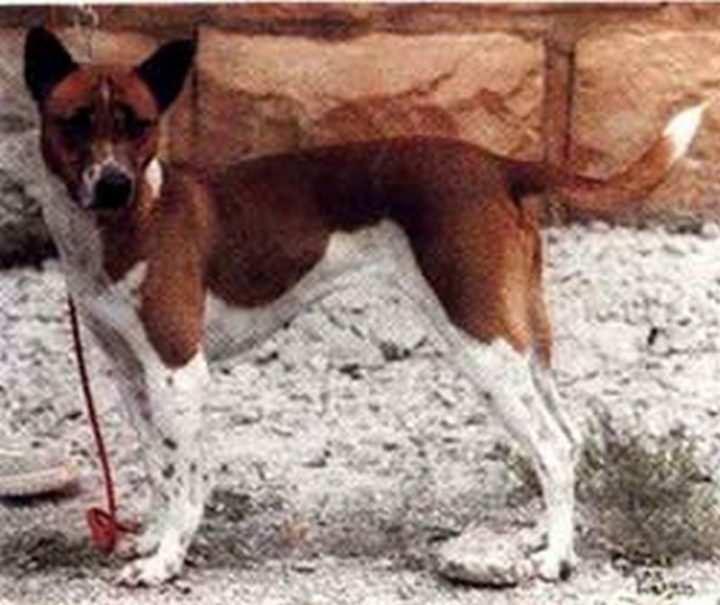 In fact, some believe it is the first dog bred in the United States. Commonly used as watchdogs are guard dogs, they make loyal companions and great family pets once they feel part of the family. A Turkish pointer with a distinct split nose, the Catalburun was highly inbred as many people believed the split nose offered a scent-sniffing advantage over other dogs; however, this proved to be untrue and hunters stopped breeding them which make this breed extremely rare. 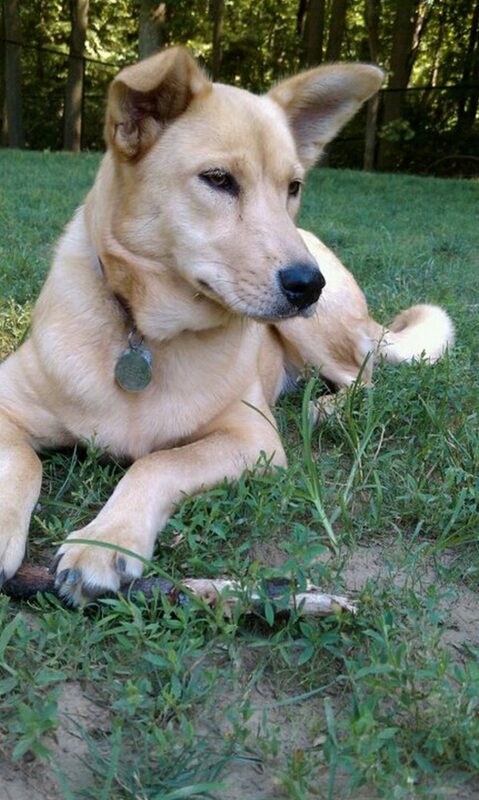 As America’s only native wild dog, the Carolina dog looks very similar to an Australian Dingo which is why it is also commonly called an American Dingo. 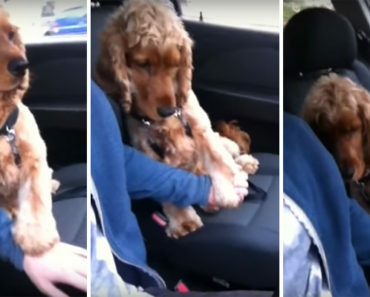 While it starts out shy, rare dog breeds like this one instantly warm up to their humans. It has pointed ears, a fox-like snout, and a beautiful ginger-colored coat. This fierce guard dog originating from Brazil is definitely not for inexperienced handlers. 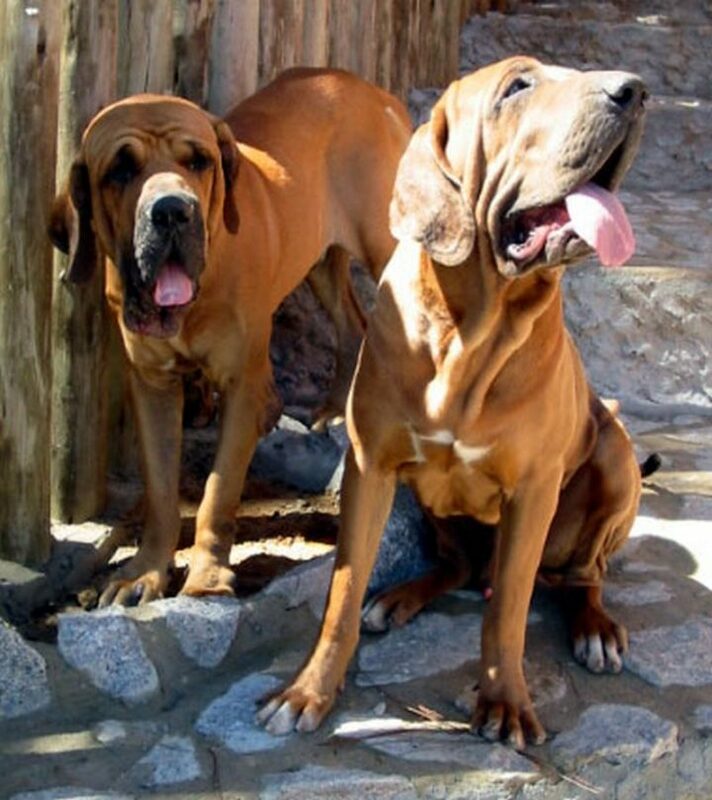 Widely known for its aggressive temper, the Fila Brasileiro does make a loyal family dog; however, this dog breed will fiercely protect them if he/she feels threatened by strangers. This dog also proves that having a short coat doesn’t mean it won’t shed and requires a good brushing twice a week to remove dead hair. 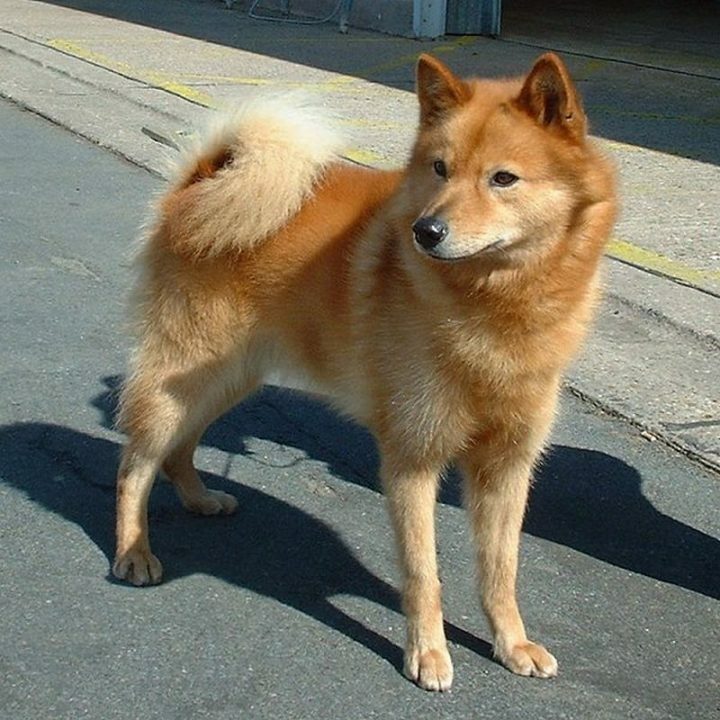 The adorable face of a Finnish Spitz might remind you of a Shiba Inu or even a fox. A small and agile dog, the Finnish Spitz is intelligent and highly-spirited. 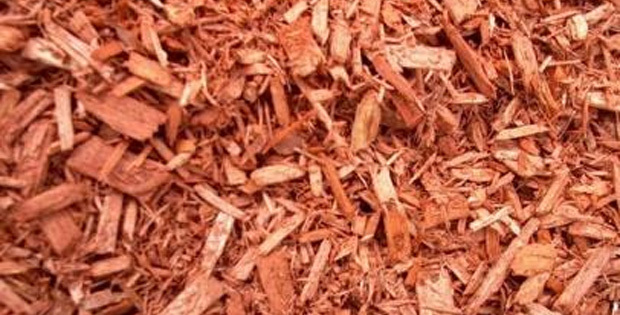 They have a dense golden-red coat and a bushy tail and many become highly-prized show dogs. Effective alert dogs, they love to bark and when they do, it can be high-pitched and piercing at times. The Stabyhoun hails from Friesland, a province in the Netherlands and its name translated from Dutch means ‘Stand by me dog’. An intelligent, loving, and obedient breed, Stabyhouns are retrievers and pointers and are especially skillful as a hunting dog. With an estimated 4,000 dogs in existence, Stabyhouns are now considered rare dog breeds; however, for the lucky families that do have one, they have an affectionate and loving friend for life. 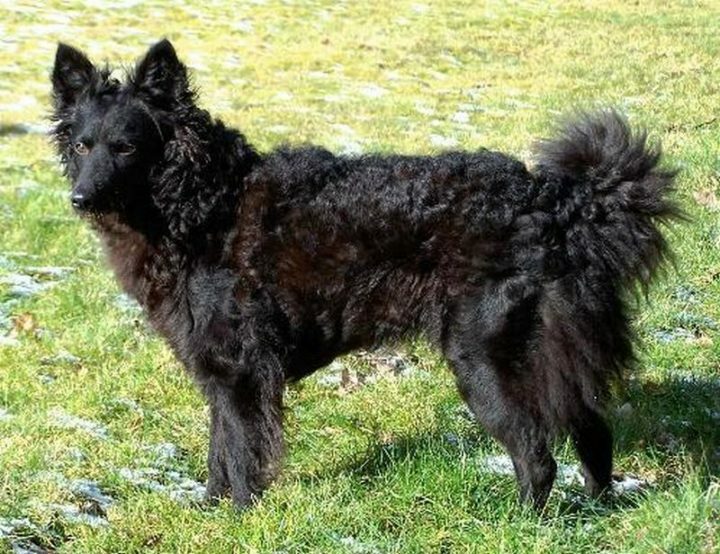 A loyal and intelligent breed, the Mudi is a Hungarian farm dog with exceptional qualities. It’s a hunter, a herder, a guardian, and even an effective search and rescue dog. This dog loves to stay active so it especially happy with large areas for running, playing flyball, or other dog sports. 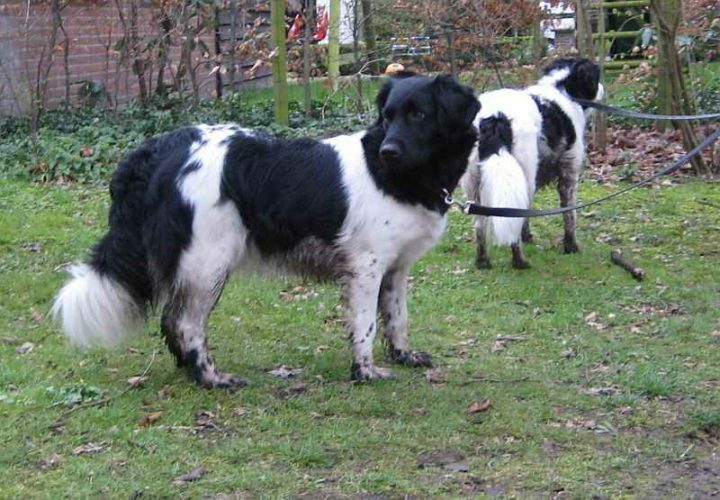 Just like the Stabyhoun, rare dog breeds like the Mudi have only a few thousand in existence today. 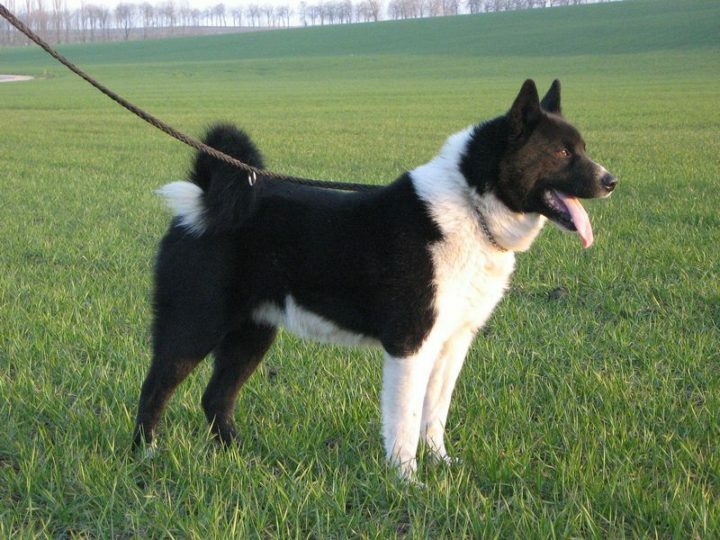 The Karelian Bead Dog was originally bred to hunt big game animals by themselves and are agile hunting dogs. In fact, the sound of their bark generally indicates the type of animal they have found which make them a great sidekick for hunters. Courageous and loyal, this breed is very self-confident and for this reason, they might be aggressive with other males but with humans, they are as gentle as can be. 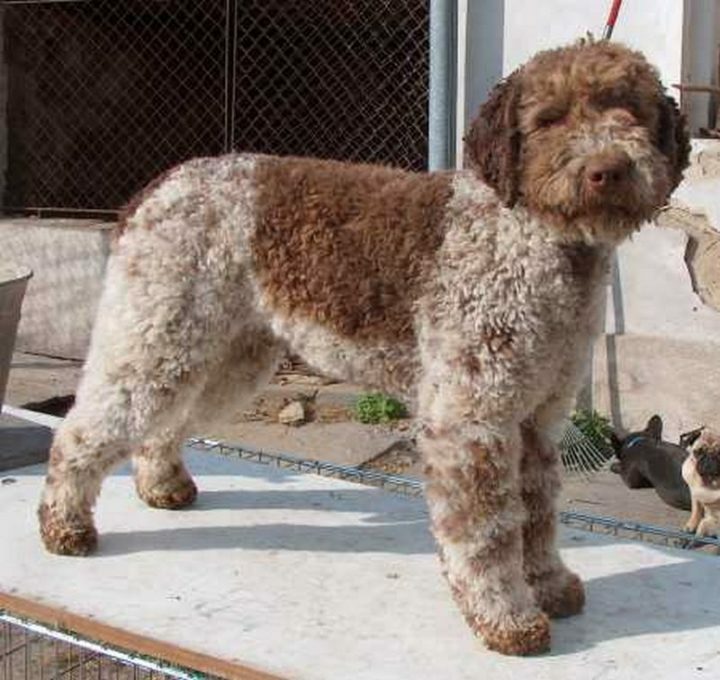 Commonly referred to as “Italy’s truffle dog,” owning rare dog breeds like the Lagotto Romagnolo is like having a living plush toy. Its soft, curly coat feels more like human hair versus fur. 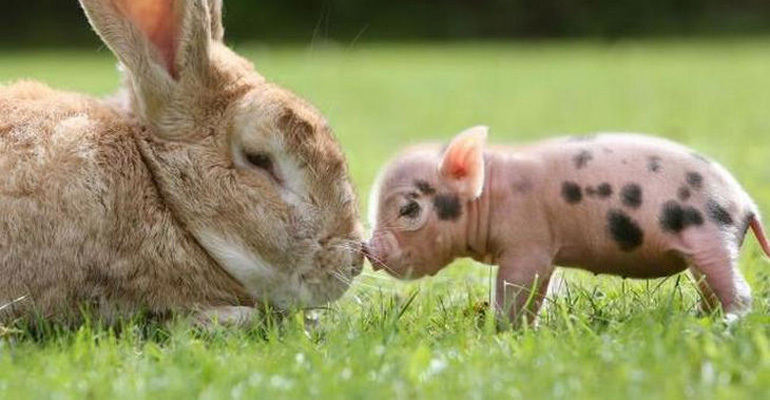 It was given its nickname because of its amazing ability to sniff out truffles, a pricey commodity in fine cooking. For this reason, it makes them a favorite with truffle hunters. With a German name that translates to ‘little lion,’ you would think the Löwchen would be aggressive but it’s the complete opposite. This gentle and playful breed has been a favorite in Europe for over 500 years. A companion dog, they are great with children and are suitable for apartment-dwellers as they don’t have high-activity levels and are happier spending time with the people they love. 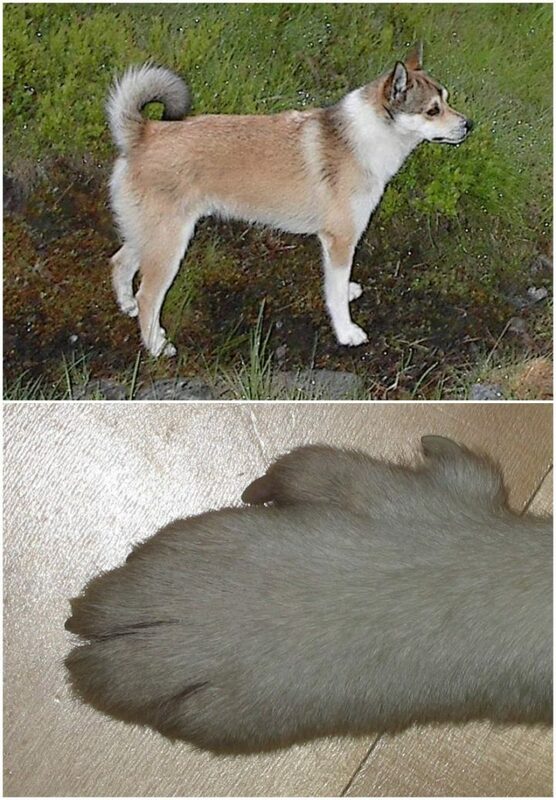 Originating from Norway’s rocky island of Vaeroy, the Norwegian Lundehund has several physical traits that set it apart from other rare dog breeds: Ears it can fold shut at will, an “elastic neck” which gives it the ability to tilt its head back and touch its spine, and paws with 6 functioning toes! It was originally bred for puffin hunting but today, Norwegian Lundehund’s make loyal and friendly companions. 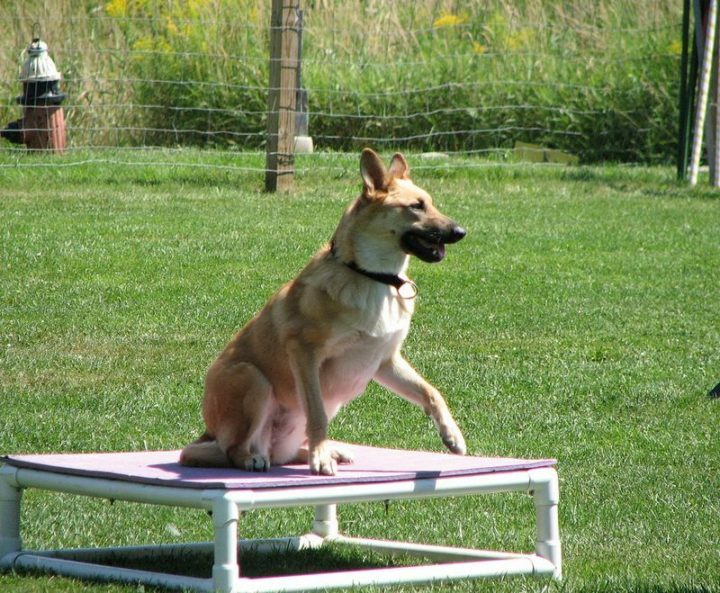 Once a wild breed, the now domesticated New Guinea Singing Dog is an agile and graceful breed. This ‘singing’ dog gets its name because of their unique ability to vary the pitch of its howl. 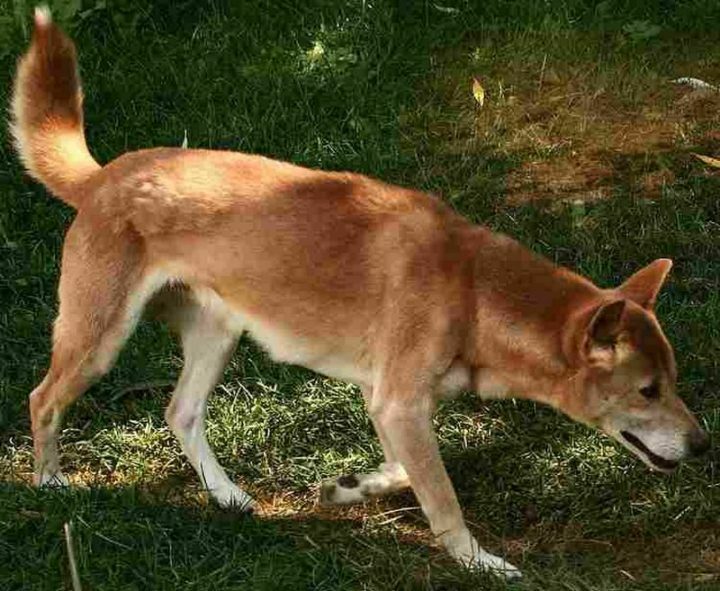 While often mistaken as a Dingo, the New Guinea Singing Dog makes an excellent companion dog once attached to its owners. 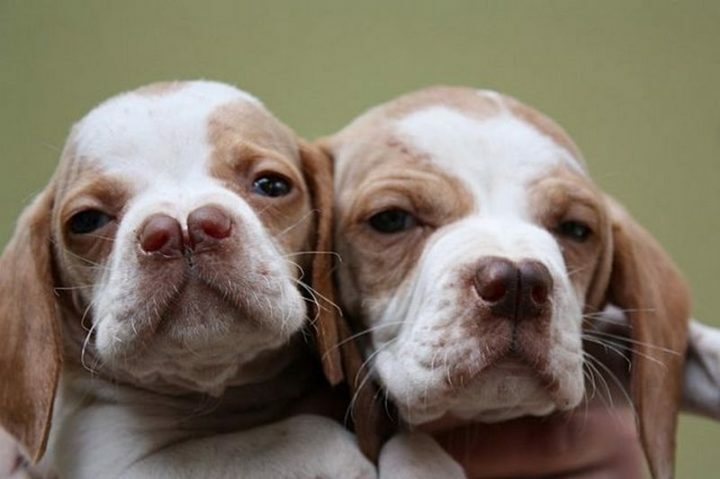 Unfortunately, with only about 50 of these gorgeous dogs on record, the breed has a possibility of becoming extinct. 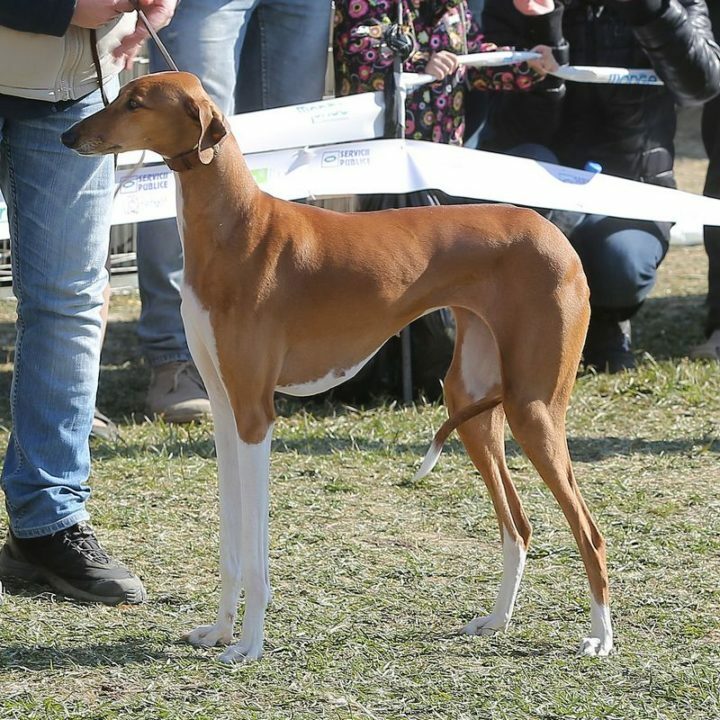 As its name suggests, this sighthound originates from Peru and is an affectionate and agile breed. Having been bred since 750 AD, Peruvian Inca Orchid remains a rare but loving pet. Effective as a watchdog, the Peruvian Inca Orchid is protective of its human family but should be supervised around small children and also small pets. Originating from the rocky shores of Spain’s Balearic Islands, the leggy Ibizan Hound is a world-class sprinter and leaper. With their long snout and erect ears, they often remind people of drawings from ancient Egypt. 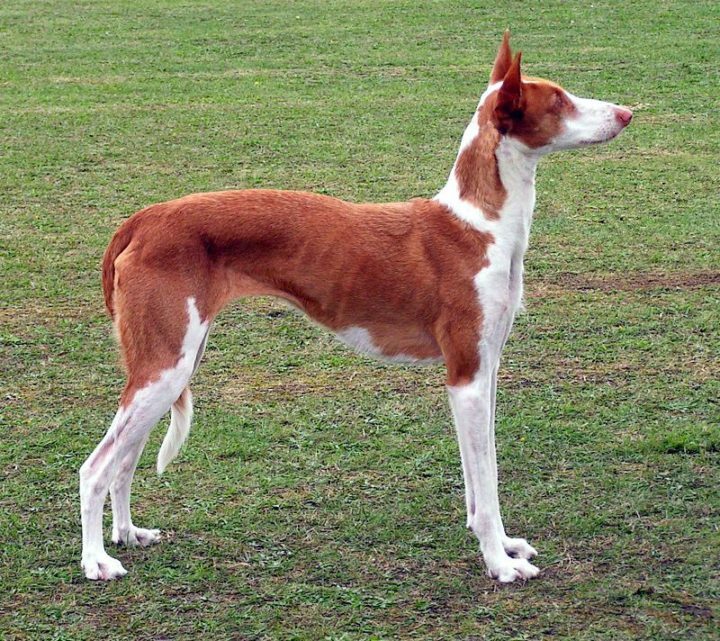 It does so because the Ibizan Hound’s origins date back to the pharaohs in Egypt where it was a treasured canine. An excellent family dog with a gentle demeanor, they love huge yards where they can stretch their legs and run to their heart’s content. Originally bred to protect the indigenous people of Peninsular Malaysia from vermin, the Telomian is a unique breed. Because their owners’ habitats were elevated huts to protect them from snakes and rats, this breed gained the ability to walk up and down ladders. As you can imagine, this breed is highly intelligent, obedient, and excels at hunting. 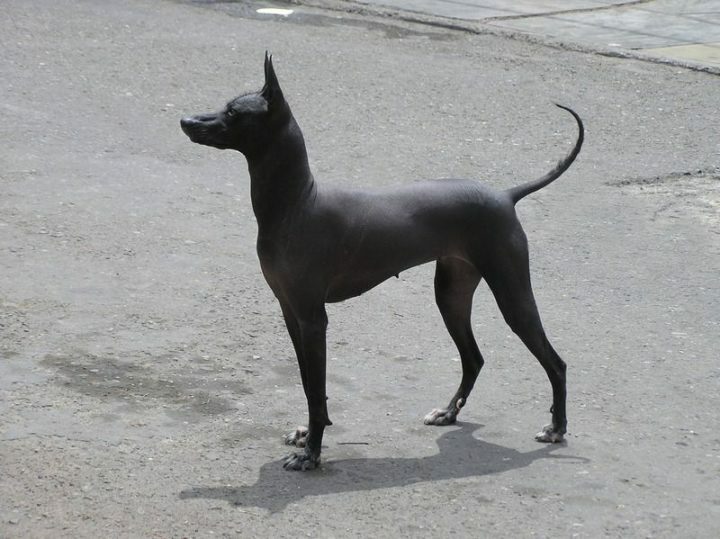 A muscular and agile dog, the Thai Ridgeback is a tough and active breed. This breed gets its special name because of a ridge on its back from hair that grows in the opposite direction from its coat. 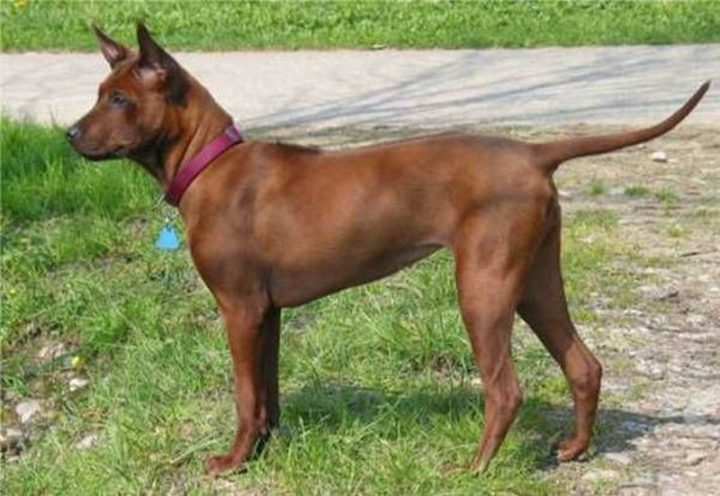 Thai Ridgebacks are not recommended for first-time dog owners but once trained and socialized, they make excellent family pets. Because of their big webbed feet and waterproof double coat, the Otterhound is an excellent swimmer. As its name suggests, it was bred to hunt otters in medieval England but now that this practice is outlawed, the breed remains a loving family pet. 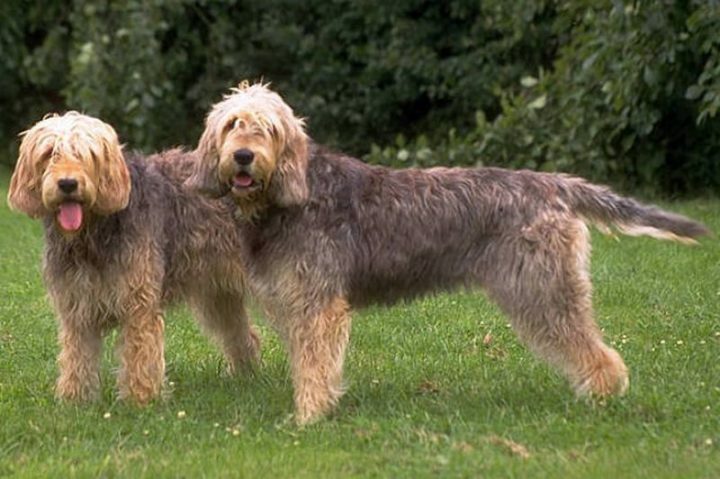 While introduced in the United States in 1903, the Otterhound is now rarer than a Giant Panda and is considered an endangered species. 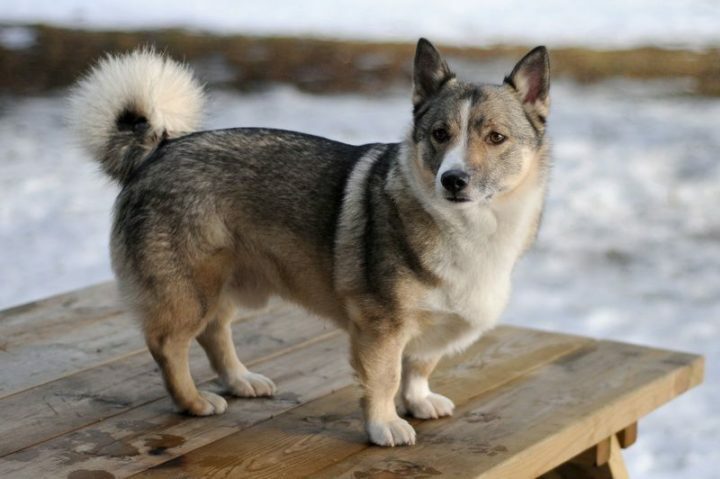 23) We’ve reached the last rare dog breeds in our list…the Swedish Vallhund. The Swedish Vallhund has a long history as a Swedish breed and dates back over a 1,000 years. In fact, they were the dogs of Vikings and helped herding sheep and cattle. Today, they are just as happy lounging in the backyard with their humans and are considered athletic and social dogs that love to run and play. While there are many common breeds, owning any one of these rare dog breeds can be extra special for experienced dog owners. Please share these beautiful but rare dog breeds with your friends and family.